It’s been several years since a Casa Magna cigar has been featured here at Casas Fumando, but I’m here today to change that. The Casa Magna Jalapa Claro was made available at the 2016 IPCPR trade show to only those retailers who attended the show. The Jalapa Claro utilizes the same inner blend as the original Casa Magna Colorado, but is wrapped in a Nicaraguan grown Claro leaf instead. The cigar comes in three sizes – Robusto 5 ½ x 54, Box Pressed Toro 6 x 50, and Gran Toro 6 x 58 – with prices running between $6.65 and $7.65. Only 500 twenty-count boxes of each size were made available, and were produced at Plasencia Cigars S.A. in Esteli, Nicaragua. I picked up a few of these at a local shop on the recommendation of Quesada’s NW rep, Ed Ryan. The Casa Magna Jalapa Claro comes dressed in a uniformly tan wrapper with a couple of medium sized veins and is rolled so that the seams are almost completely invisible. The wrapper doesn’t show much in the way of oils, but there is a small amount of tooth to it. 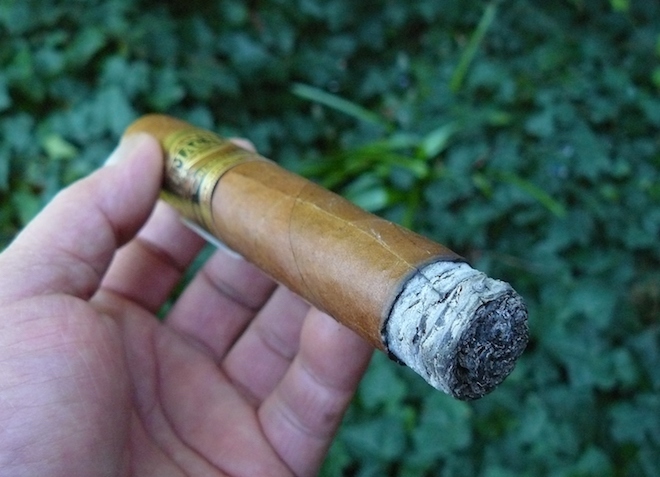 The cigar has a bit of sponginess to it when lightly squeezed, but overall, the pack is pretty firm. The foot is squared off a bit, no doubt the result of how it was packed in the box. The wrapper gives off a nice aroma of tangy and salty earth over natural tobacco, while the foot shows off rich tobacco. The shallowest of results in an ideal draw that shows sweet cedar, spice, and floral notes. 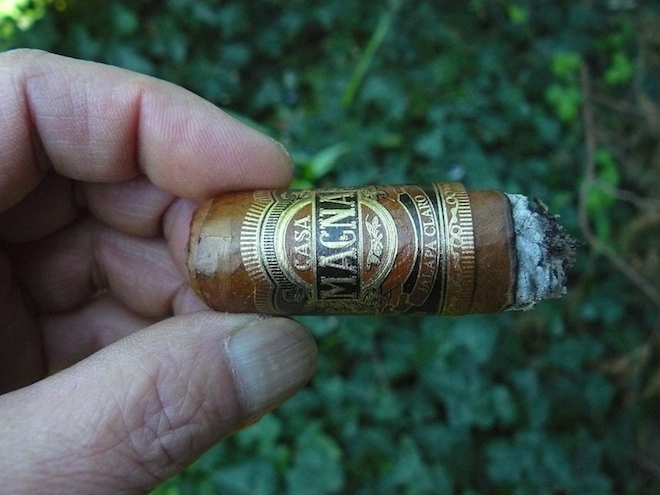 The first few puffs of the Casa Magna Jalapa Claro deliver cedar, earth, and leather to the palate. While it initially took double puffs to get a good mouthful of smoke, by the ½” mark, that is no longer necessary. The floral notes detected in the cold draw have begun to creep in, as the flavors deepen in the now low-medium smoke. The burn is sharp and even, leaving behind a nicely compacted ash that taps off at an inch. The sweetness level has climbed and the retrohale is showing great notes of sweet bread, cedar, and some baking spice. While these is virtually no pepper on the palate, there is a fair amount coming out on the retrohale. The Casa Magna Jalapa Claro flows into its middle third by continuing to deepen the flavors while providing a great smoothness, as tiny bit of char wafts in and out to add to the mix. The pepper has suddenly dropped back, as the creamy sweetness of the cedar, spice, and floral notes lead the way, augmented by light earth. The cigar ha just barely made it to mid-medium in body, while exhibiting next to nothing in the way of nicotine strength. Moving into its final section, the Casa Magna Jalapa Claro has continued to build on its foundation, not by adding new flavor components, but by concentrating the ones already present. In the final 1 ½”, the char has moved back in as the sweetness has dropped back and the strength suddenly ramps up to a medium to medium-plus level. 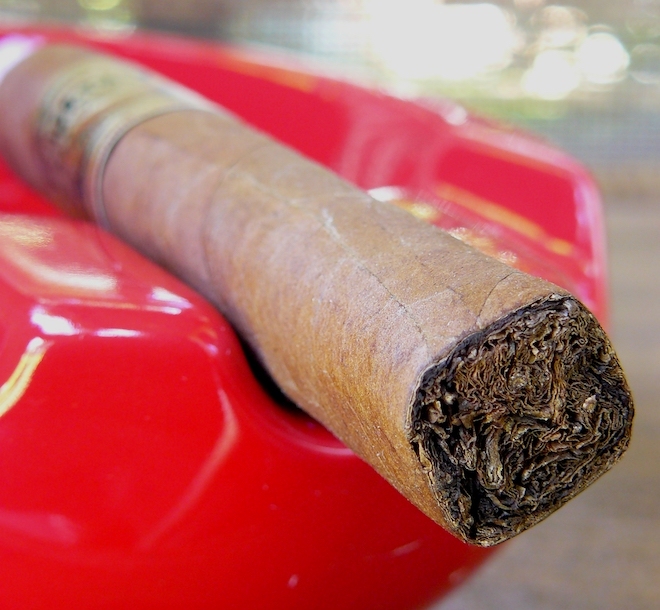 The Casa Magna Jalapa Claro has smoked cool down to the firm nub, and the burn has never wavered all the way through the cigar. 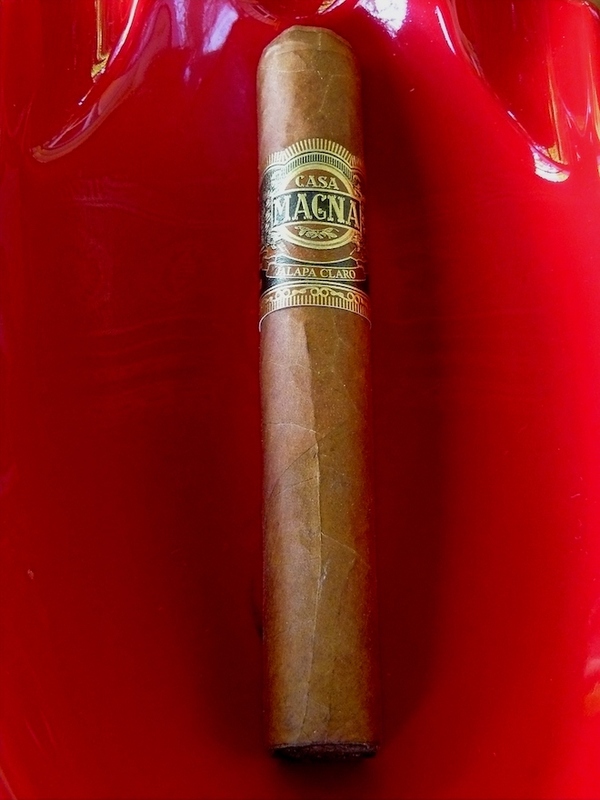 The Casa Magna Jalapa Claro looks like a fairly mild smoke, and for the most part it was, but don’t judge this book by its cover – that final inch and a half was pretty powerful, although I don’t remember the other ones I smoked ending up so strong. That being said, I really enjoyed the cigar for the combination of flavors it provided and the excellent construction. Despite the packing that resulted in a sort of oval shape with a boxed foot, the Jalapa Claro suffered absolutely no ill effects from it. I can’t remember the last time I smoked through a cigar with such a dead-even burn and there was never a thought of a re-light even after letting it sit for a while. 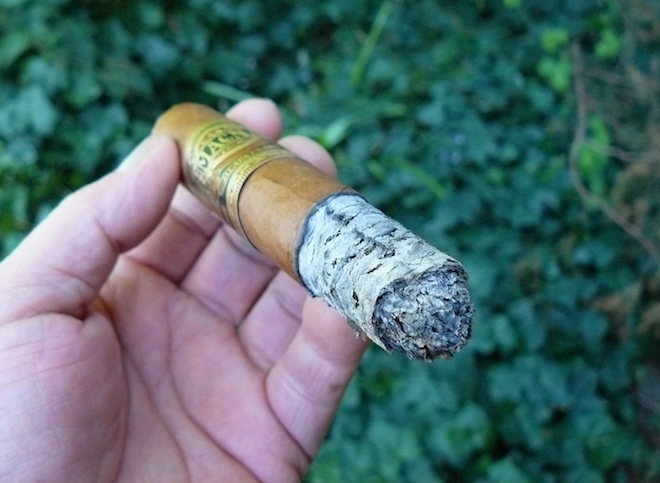 The first three-quarters of the cigar would make for a great morning smoke, but watch out for that final bit. That probably makes it more of an afternoon smoke for me. Although this cigar is limited in distribution, there are at least a few places online where I have seen them available. I will be going back to see if they are still there at my local B&M, since they are well worth the price, even if they ran me about 20% more than the MSRP around here, and I would also like to try out the toro size. 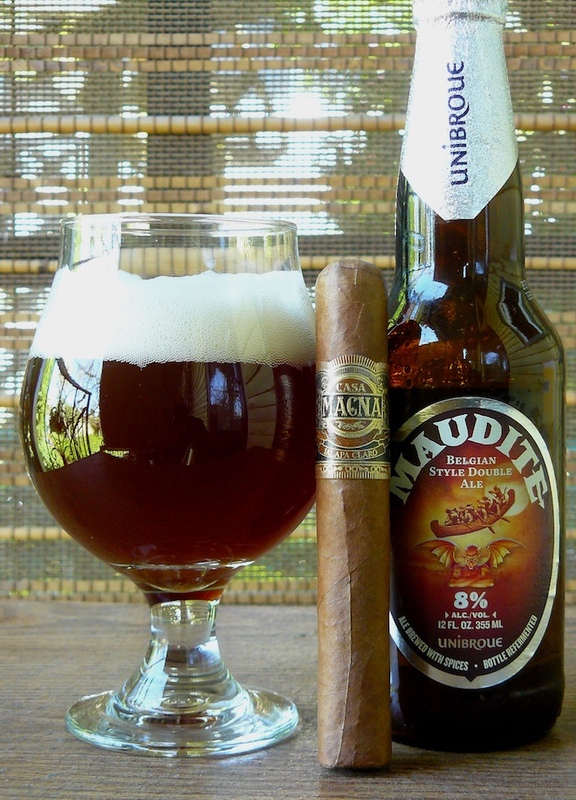 Maudite by Quebec brewer Unibroue is certainly no stranger to the pages of Casas Fumando as erstwhile reviewer Daniel featured it in a number of pairings. The label bills it as a Belgian style double ale, while their website tabs it as a Strong Amber ale. Well, whatever it is, although I had not had this particular beer before (though I have had several of Unibroue’s other offerings), it seemed like this would be a great beer to match up with the Casa Magna Jalapa Claro, as both appear to be agreeable to a rather large range of combinations. As it turned out, the beer’s sweet maltiness, along with fruity apple/pear flavors, went terrifically with the cigar, bringing out even more of the floral and fruity essence of the smoke and complementing the other flavors. A Belgian tripel would also be a great match for this cigar, as would coffee or sweetened tea.